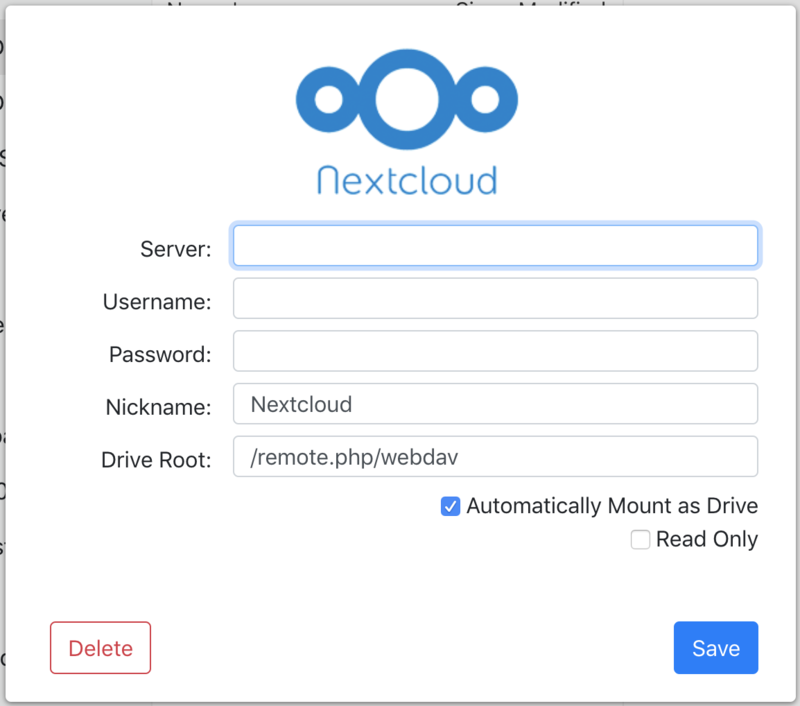 ExpanDrive has always had support for Nextcloud using our WebDAV connector or our Owncloud connector. With ExpanDrive 7 there is now a full connection profile available for Nextcloud. 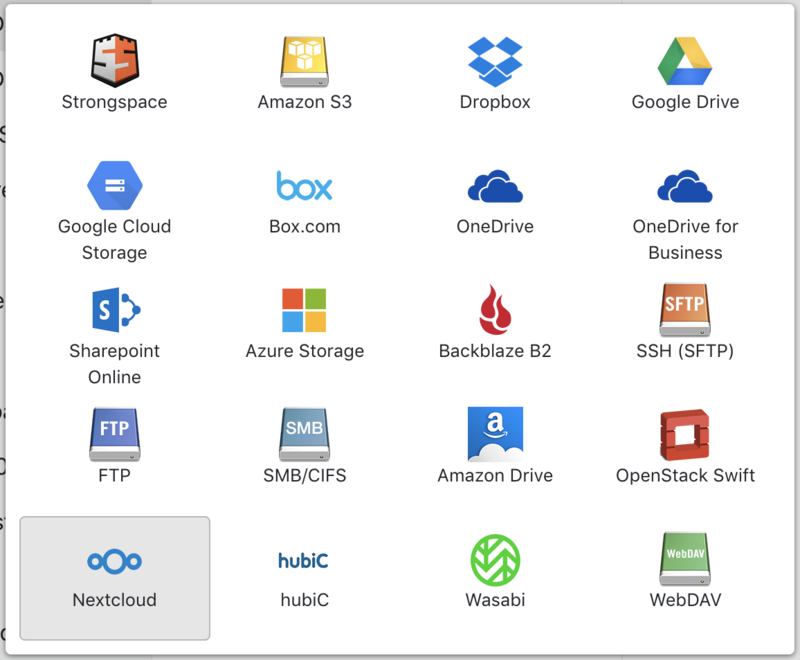 You can easily mount Nextcloud as a fast network drive on Mac, Windows or Linux and you can also manage your files from directly within the ExpanDrive GUI. To get started, grab ExpanDrive v7 and create a new drive. Next select the Nextcloud connection profile. Once you’ve got the drive created, add your server root, your Nextcloud username and password and you’ll be good to go. ExpanDrive has always had support for Wasabi via our Amazon S3 connection type. 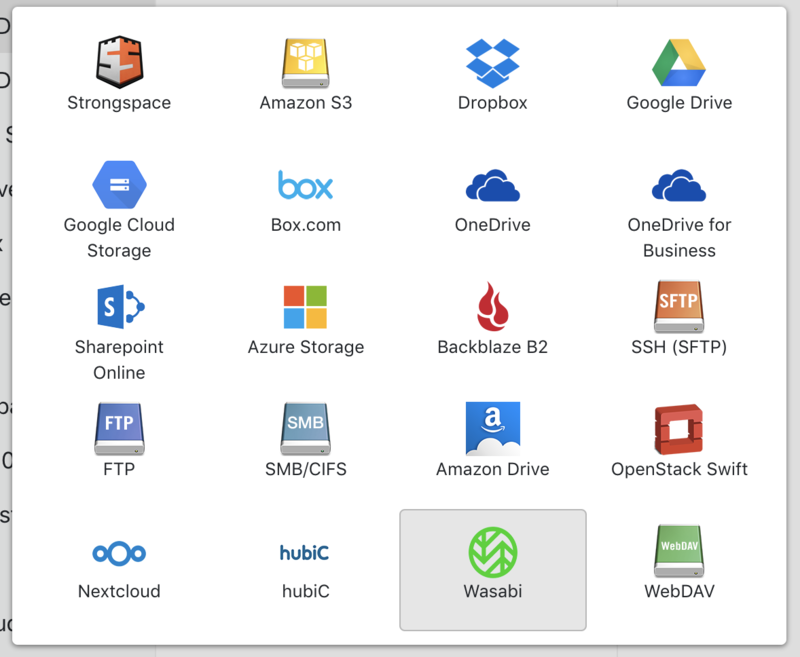 Now, as of V7 ExpanDrive has a full connection profile available for Wasabi Cloud Storage. 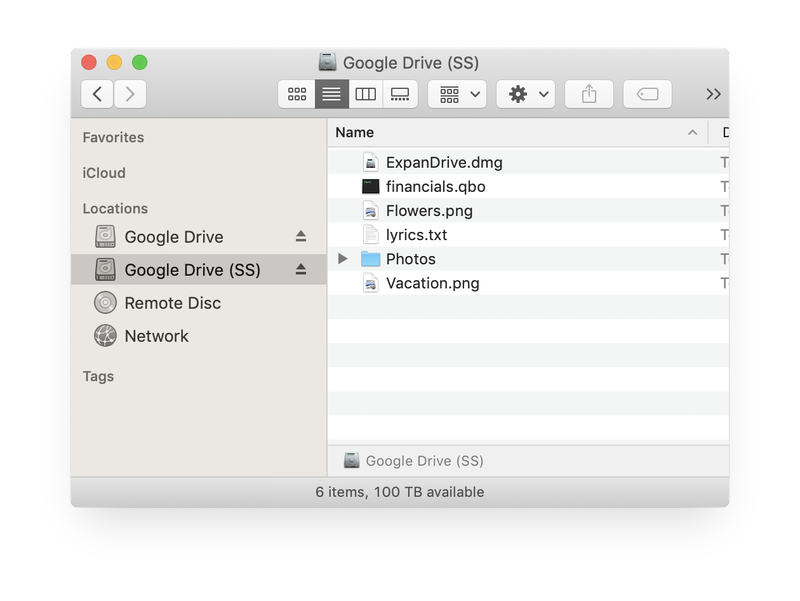 You can easily mount Wasabi as a fast network drive on Mac, Windows or Linux and you can also manage your files from directly within The ExpanDrive GUI. To get started, grab ExpanDrive v7 and create a new drive. Next select the Wasabi connection profile. Once you’ve got the drive created, add your Wasabi Access Key and Secret key and you’ll be good to go. ExpanDrive updated to v7.0.8 – it includes new connection profiles for Wasabi and NextCloud and fixes a number of small issues that cropped up in v7.0.5. Thanks to everyone participating, especially the Linux testers! Our ExpanDrive beta has been updated to v7.0.5 with a variety of improvements to reconnecting, auto-updater functionality, login behavior and many other small improvements. Thanks to everyone participating, especially the linux testers! ExpanDrive 7 is now moving into public beta. It is the biggest step forward for the product since the release of ExpanDrive 3, when we added support for a wide variety of cloud storage providers. ExpanDrive 7 is dramatically faster and more powerful in nearly every dimension. And it also is now available for Linux. The new user-interface now goes beyond merely managing connections. It is a full-featured transfer client with powerful features for managing versions, sharing, bulk data transfer, live editing, previewing and much more. Head over to our ExpanDrive 7 page to grab the download and learn more. 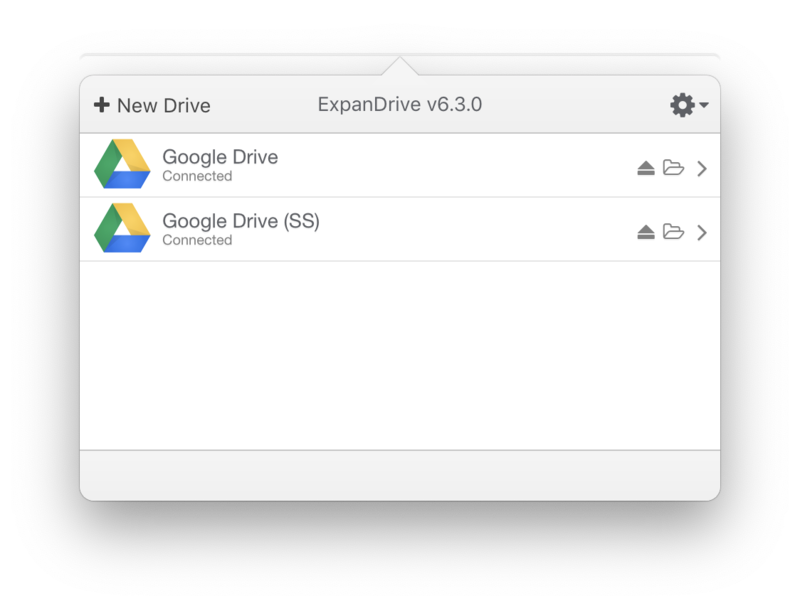 ExpanDrive is a powerful client that lets you connect multiple Google Drive accounts at the same time on Mac and Windows. Google’s Backup and Sync client and File Stream client are only able to connect to a single GSuite account. It’s not uncommon for people to have a GSuite account for work or school as well as a personal one. With multiple accounts your only option to move data in and out of both of those is using the browser. This might be fine for occasional use, but any serious user relies on native access to their files. 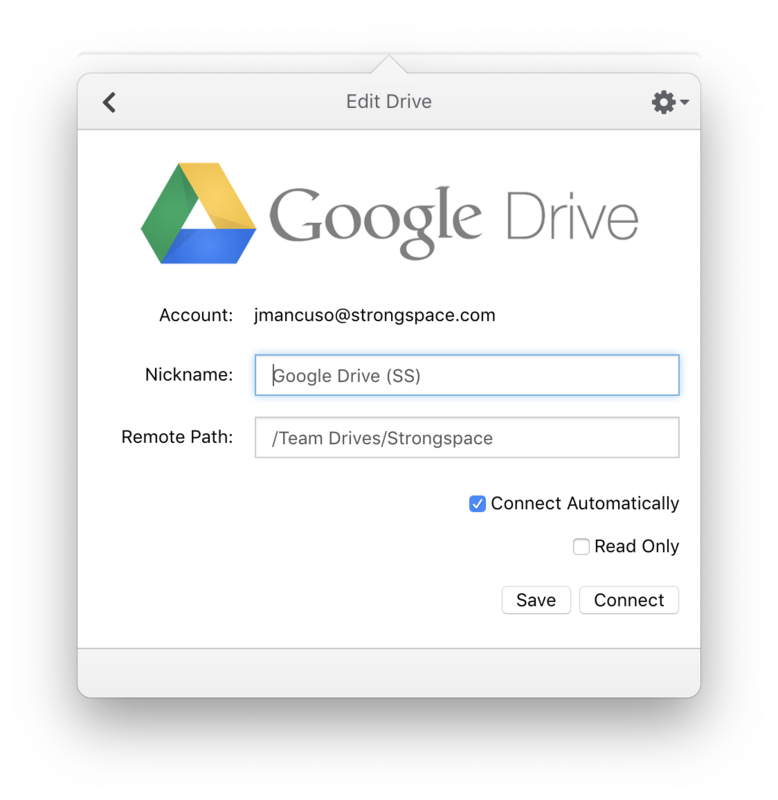 ExpanDrive is a special kind of Google Drive client that lets you access multiple Google Drive accounts as a fast network drive. You can even mount a specific Team Site or a subfolder within your account. ExpanDrive securely connects via the Google API. You can connect as many accounts on one machine as you want. 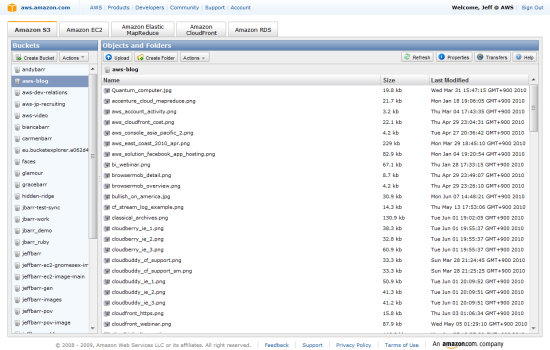 All of the files are accessed without needing to sync down the content. It’s easy as authenticating multiple accounts and assigning them unique nicknames, give it a try for free. There are a variety of good ways to access Sharepoint document libraries from your mac. Some, such as plain access via the web, don’t offer much in the way of native integration. While others provide a full native filesystem interface that lets you access Sharepoint as a mapped drive. The easiest starting point is simply accessing Sharepoint via the web through the Office 365 portal. In order to get the richest experience via the web you’ll want to make sure you have a modern version of your browser. Microsoft keeps this list of supported browsers. While mounting Sharepoint as a network Drive using WebDAV mostly works in a Windows environment, it doesn’t function correctly on Mac when connecting to Office 365. In versions of Office previous to 2016 Microsoft included an app called Document Connection to move data in and out of Sharepoint, but it has been since discontinued in favor of more direct integration inside the office 365 apps. Third-party tools like ExpanDrive integrate directly with the Sharepoint API building in native access to any Mac. A user authenticates one time using the same login flow a they access Office 365 via the web, including MFA and SAML configurations. They can then access their entire Sharepoint setup as a fast, aggressively cached network drive that provides advanced features like smart-sync offline mode, integrated link sharing, and more. Another option is to use the OneDrive sync client to access Sharepoint on your mac. It provides reasonable integration and speed and is available from Microsoft. However, it doesn’t make managing a configuration with fine grained permissions and many different sites particularly. easy. We’re finally expanding our test group for our Linux client. Head over to our ExpanDrive for Linux page if you’re interested in testing ExpanDrive in a Linux desktop environment.